The Kelvingrove Art Gallery and Museum is a rare beast. From the outside, looking at its red, sandstone sweeps and arches, you’d be forgiven for finding this Glasgow museum a little imposing. Inside, it’s a classic institution, boasting all the sweeps, space and ornate surroundings that you might expect. 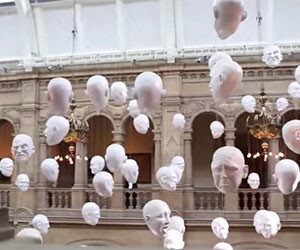 However, the Kelvingrove has done away with the fusty, dusty attitudes of yesteryear to create a museum experience that is dynamic, contemporary and immediately engaging. The museum is something of a leveller, leaving a lasting impression on everyone, from those who’ve just popped in to meet Glasgow’s most famous elephant to dedicated historians looking to delve deep into the past. 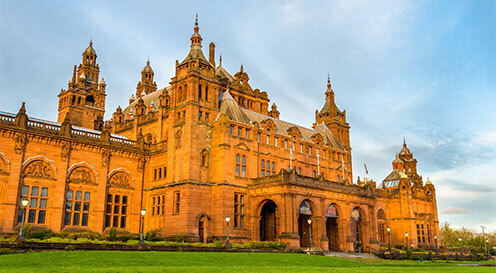 With dedicated study rooms for history hunters, a mini-museum for youngsters and a stunning array of exhibits for everybody, the Kelvingrove Art Gallery and Museum is much like the inhabitants of its host city: welcoming, vibrant and full of surprises. The Kelvingrove: a Back-to-Front Building? 1888 saw the inaugural International Exhibition of Science Art and Industry, held in Glasgow’s Kelvingrove Park. The first of four exhibitions, it was hoped that they might raise enough money to provide a Glasgow museum, art gallery and art school – each of which had been long-lacking from the city’s skyline. Using the profits from the exhibition, topped-up by contributions from the Association for the Encouragement of Arts and Music in the City of Glasgow and public funding, the resulting Kelvingrove Art Gallery and Museum was able to open its doors on the 2nd May, 1901. The museum’s closest point of access is from Argyle Street – and it’s this that has given rise to one of the most famous myths surrounding the Kelvingrove. While most people enter the building from Argyle Street, the main entrance overlooks Kelvingrove Park. The story runs that the museum was built back-to-front and the overseeing architect jumped to his death from one of the building’s two towers in despair, once he’d realised his mistake. There is no foundation to the story whatsoever – although mischief-minded locals will tell you that this is the absolute truth! In fact, the architecture of the building was very carefully and deliberately designed. Even its situation was planned meticulously; the Kelvingrove is one of the best naturally-lit buildings in the city and the right sunset illuminates the red stonework in all its glory. The architecture itself is equally impressive, drawing on influences from Spanish Baroque buildings; the two, iconic towers are directly inspired by the church of Santiago de Compostela, in Northeast Spain. Originally, the interior of the museum was also built from sandstone – albeit a lighter-coloured variety, from Giffnock near Glasgow. In 1988, the exterior of the Kelvingrove was cleaned, removing almost a century’s worth of soot and grime. Inside, the sandstone was covered with a layer of latex which, once removed, revealed the walls’ former splendour and is a feature of the museum’s tranquil and calm environment. The exhibits here are nothing short of spectacular. Set amongst the grandiose curves of the expansive ceilings and lining the soothingly-smooth walls are paintings, suits of armour, sculptures, suspended installations and exhibits from the natural world. Many items, you’d expect to find in the Uffizi Gallery or the Louvre. However, the Kelvingrove plays host to some major works, such as Botticelli’s Cestello Annunciation and Rembrandt’s A Man in Armour. While there are artefacts, art and curios from across the globe, the facts are that the Kelvingrove has Scotland in its bones and many of the exhibits explore the wealth of creativity that this country has produced over the centuries. Each floor is themed, to give visitors a greater understanding of and insight into the exhibits on display. The ground floor focusses on expression. Here, you’ll find collections that investigate how and why cultures have chosen to express themselves. However, the curators have been careful to highlight the relevance of relics from the past with aspects of modern society; the Ancient Sicilian Soap Opera exhibition shows just how similar the plots and characters of Ancient Greek theatre bear an uncanny similarity to the plots and characters of modern soaps. The Body Beautiful details how the evolution of what is deemed perfect in the public eye can be traced back through hundreds of years and how the way it has changed has influenced art and fashion. Displays such as these are fascinating for adults and an important learning-curve for younger visitors. Perhaps the most famous exhibit on the ground floor is Sir Roger the Elephant. As part of the ‘Life’ theme, his presence is central to the idea that the way we live can affect the world around us. 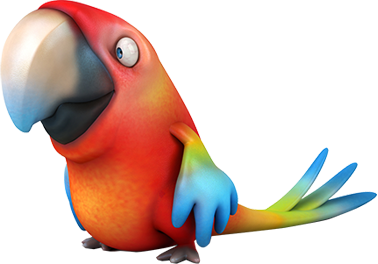 Sir Roger’s story, unfortunately isn’t a happy one: during the late 1880’s, he was part of a travelling menagerie that toured Great Britain, until his release into Glasgow Zoo. He lived happily in the zoo for two years, until a painful condition rendered him aggressive and unpredictable and saw him attacking zoo staff on a regular basis. Reluctantly, the zoo agreed to have him put down. However, his body was preserved and presented to the Kelvingrove, where he remains one of the museum’s most popular exhibits – especially with children. During the restoration of the museum’s interior, in 2009, he was deemed too heavy to move, so endured the indignity of 21st Century renovation whilst housed in a specially-built wooden box. However, while the Kelvingrove is a stuffed with facts for lovers of art history, it’s also a place where families can enjoy art for art’s sake. The Mini Museum is a superb, hands-on environment, where the under-five’s can gain an engaging insight into art and the natural world. You’ll find works by Whistler, Rubens, Pissarro, Monet, Degas and Van Gogh rubbing shoulders with works by outstanding Scottish Artists, such as Francis Cadell, Allan Ramsay, Horatio McCulloch, and Decorative Arts by the likes of Charles Rennie Mackintosh, Christopher Dresser, and Frances Macdonald. Whether you’re artistic interests lie on a global or national scale, the Kelvingrove offers a glorious collection of ancient and modern works, sure to inspire and add even more colour to your cultural palette. Down in the basement, you’ll find the KG Restaurant – also known as the Kelvingrove Café. Here, culture-infused visitors can sit and enjoy spectacular views of the university, from the conservatory. The food is a mixture if traditional Scottish fare, such as Cullen Skink and haggis, to crowd-pleasers, including fish and chips, pasta and afternoon tea. There’s a dedicated menu for children, with something for even the fussiest palates. The museum is easily accessible from the M8, which takes you straight into Glasgow City Centre. From there, it’s well signposted and there is Kelvingrove parking available; if the 124 spaces at the museum’s car park are full, you should find something on nearby Argyle Street. If you’re travelling by train, the nearest station is Partick Station, which is around 20 minutes’ walk or a short taxi-ride away. Glasgow is also well-served by an extensive subway system, the nearest being Kelvinhall – approximately five minutes’ walk from the Kelvingrove. Alternatively, there is a stop at Kelvingrove Park, which allows you to enjoy a peaceful, 15-minute stroll, before reaching the museum. 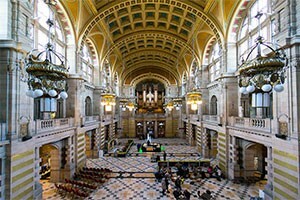 Kelvingrove Art Gallery Museum is an intelligently laid-out maze of shadowed wonders and hidden surprises. Whether your interests are fleeting or fundamental, this is an exemplary museum and an experience not to be missed. Kelvingrove admissions are free, although donations are welcomed. A good part of the museum is accessible to all.